but isolating the cause of the problem is not always a simple matter. cause damage to your turf. peal back like carpet. 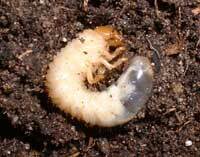 Grubs feed on the root system of the grass. 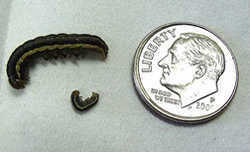 feed on the blades of the grass, not the root system. 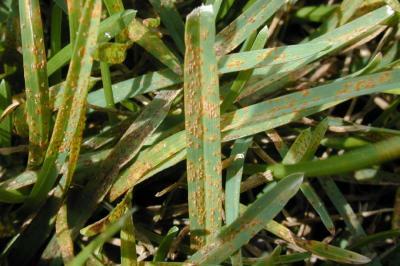 Ring Spot, Rust and Mildew. 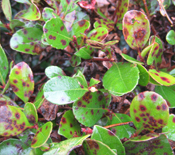 Most fungi types are caused by over watering and high humidity in the late spring months and early summer, or dense fog in winter. 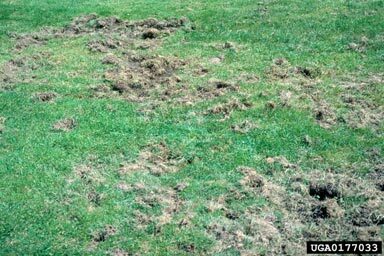 Early detection of these diseases is vital in curing the lawn of infestation. 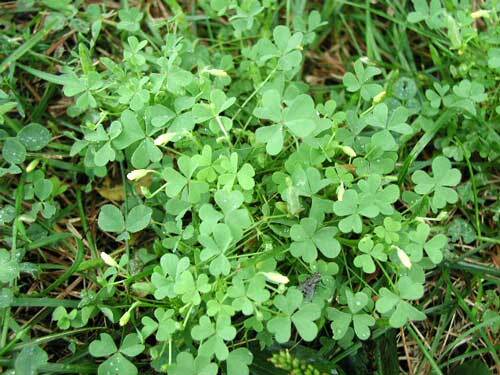 Keeping the lawn healthy and vigorously growing will help to maintain a green and dense lawn. 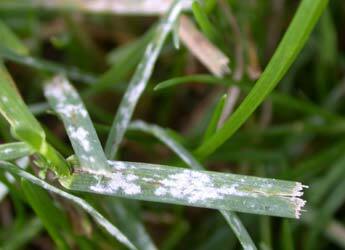 Good cultural practices such as mowing and irrigation help to deter these common diseases. 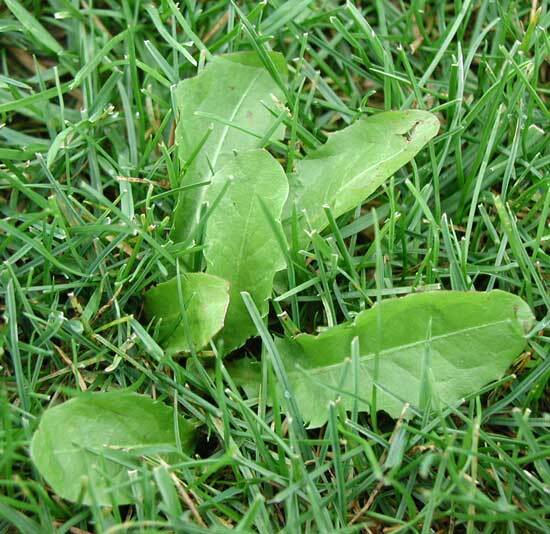 Broadleaf weeds are a common problem in all lawns. Broadleaf weeds are much easier to control through the use of selective herbicides and pre-emergents. 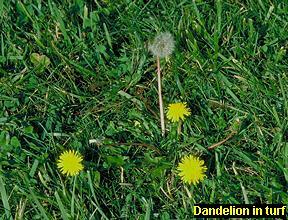 There are 2 forms of broadleaf weeds, perennial and annual. Annuals—Spurge, Buckhorn Plantain, Black Medic. 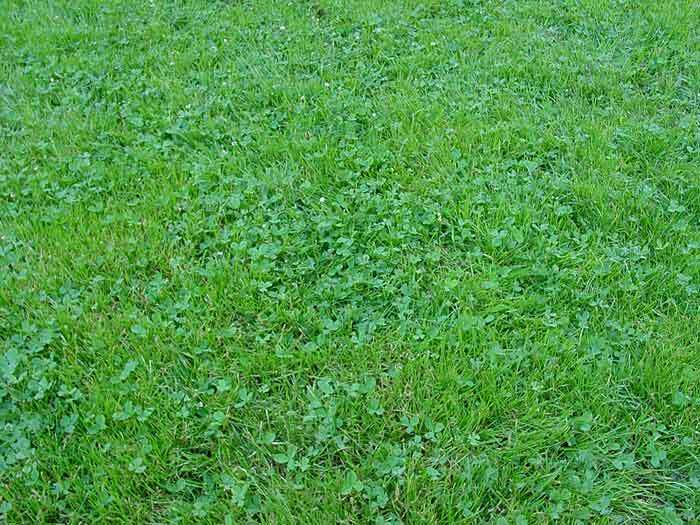 A healthy dense lawn will help to deter broadleaf weeds. 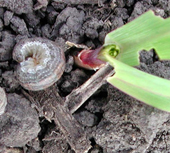 Pre-emergent should be applied in early spring to help prevent seeds from germinating. 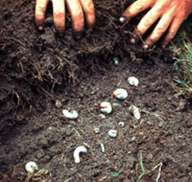 Keeping lawn healthy and dense will help minimize the amount of seed population. 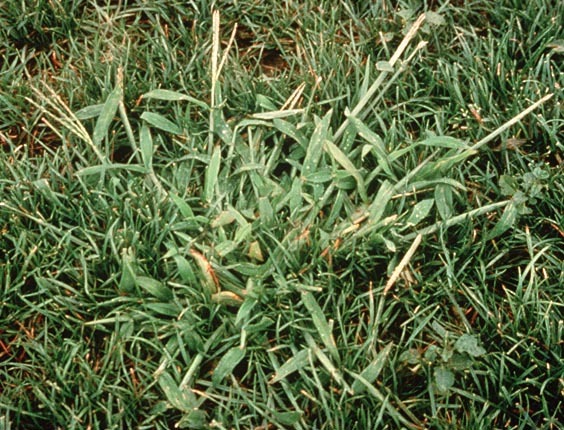 The growth cycle for crabgrass is late spring through summer months. 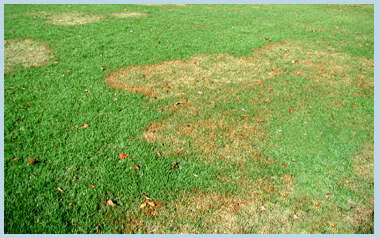 Crabgrass will die off as soil temperatures drop below 58 degrees, usually around September and October. 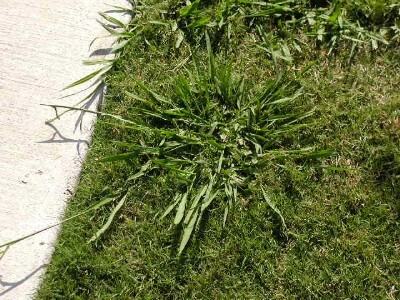 Crabgrass grows in circular clumps normally starting along edges of driveway, walkways or in thin and weak areas of your lawn. 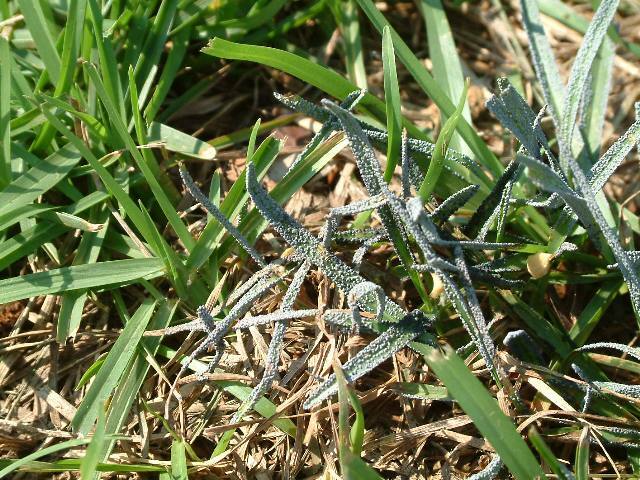 There are many methods of eliminating crabgrass throughout the active growing season, but the best control is preventing the crabgrass before it becomes a problem. 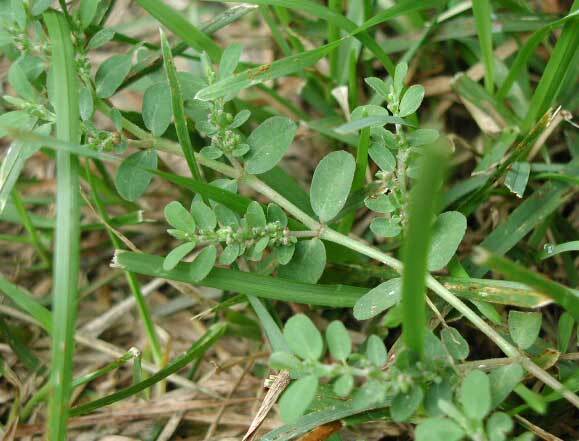 Crabgrass grows in clumps very similar to Dallasgrass but on a smaller scale. 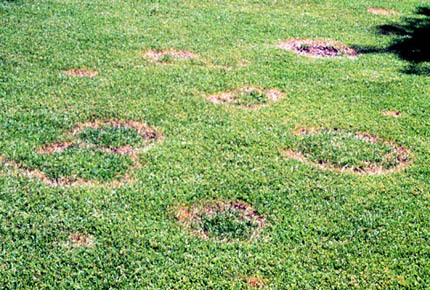 Circles of Crabgrass range from 3”-8” in diameter. 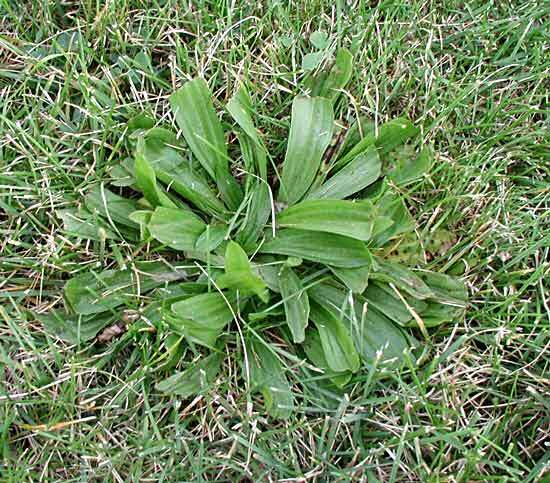 Crabgrass normally grows in flat clumps. 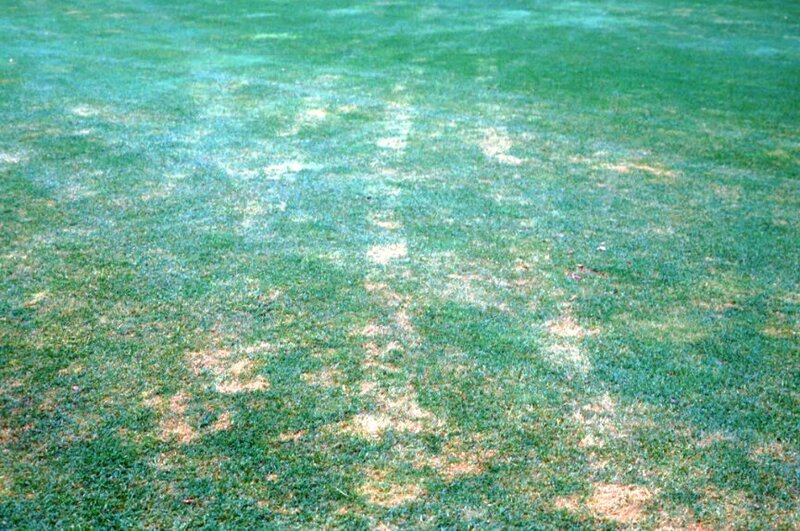 Bermudagrass is identified by brown patches in the winter as grass goes dormant. Distinctive seed heads appear in late summer. 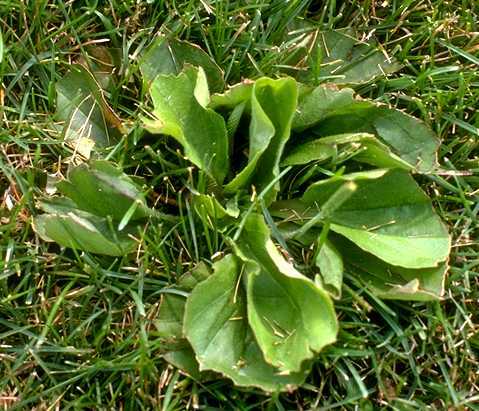 Bermuda grows in a creeping fashion throughout the lawn, creating up to 2-3 feet of distance from the actual root. 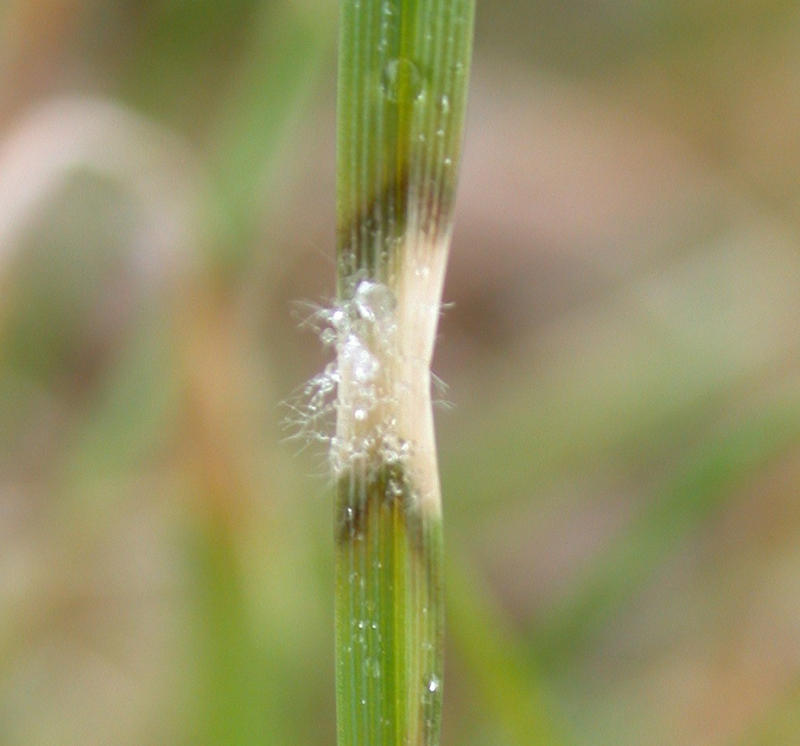 Unlike Crabgrass, Bermudagrass is more aggressive and cannot be prevented or controlled by the use of pre-emergent. Good cultural practices such as mowing height and watering are the best defense against Bermudagrass invasion. Keeping lawn healthy and dense, allowing the least amount of sunlight to reach the soil will help to deter the growth of Bermudagrass. 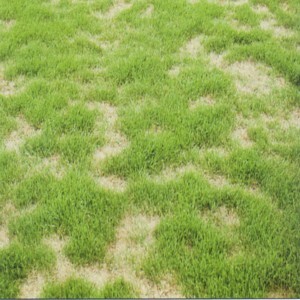 Spray lawn completely and kill existing turf. 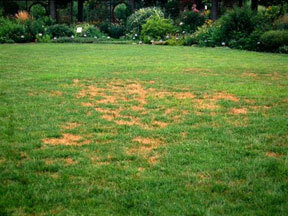 Renovate these areas with a stronger form of grass such as Fescue. 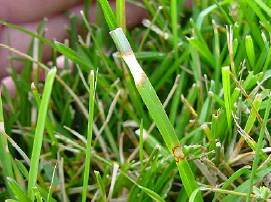 Dethatching lawn every fall and overseeding with a stronger form of grass will help keep lawn green in the winter months when Bermudagrass goes dormant. 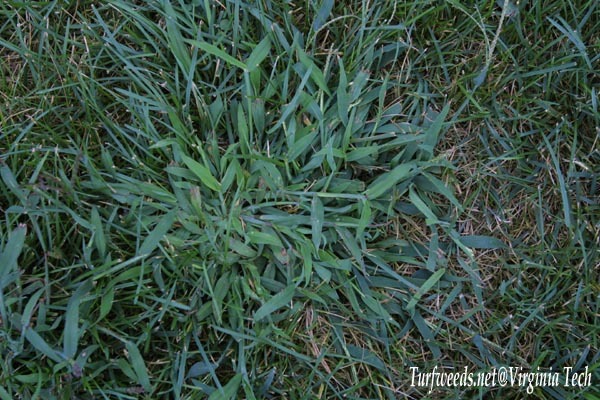 Unlike Crabgrass, Dallisgrass is much harder to control and does go dormant in winter months. 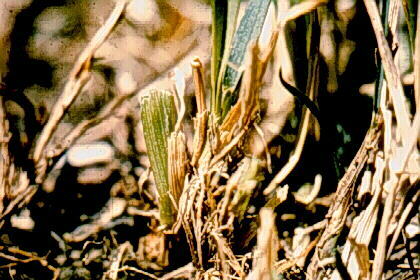 Dallisgrass cannot be controlled through the use of pre-emergents. 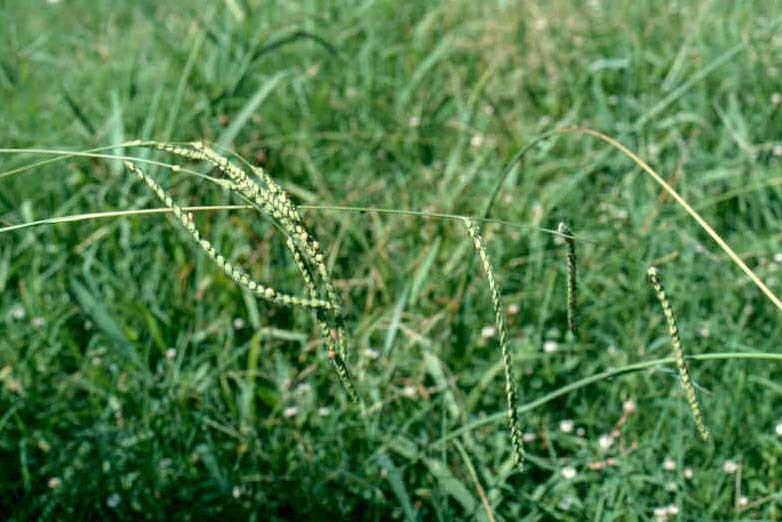 Selective herbicides may be used to control and suppress the growth of Dallisgrass. 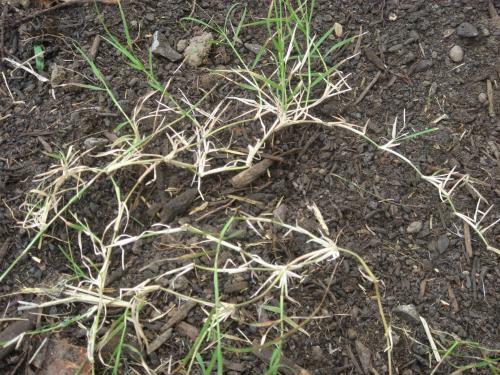 By far, the root structure of Dallisgrass is more aggressive and deeper than that of Crabgrass. 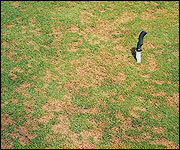 Non-selective herbicides may be used to kill active Dallisgrass and lawn will need to be replaced in these sections. 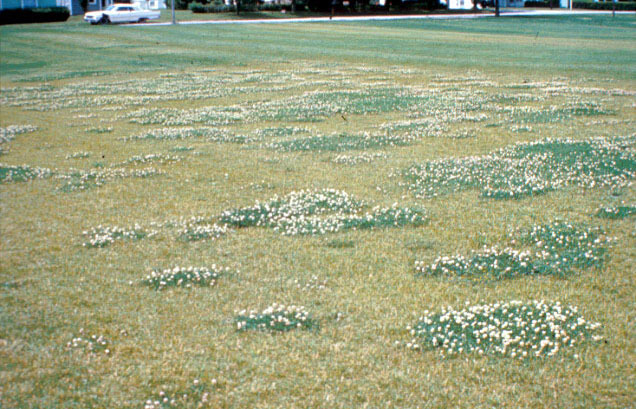 Dallisgrass grows in circular patterns very similar to Crabgrass. The older the Dallisgrass plant is the larger the pattern. 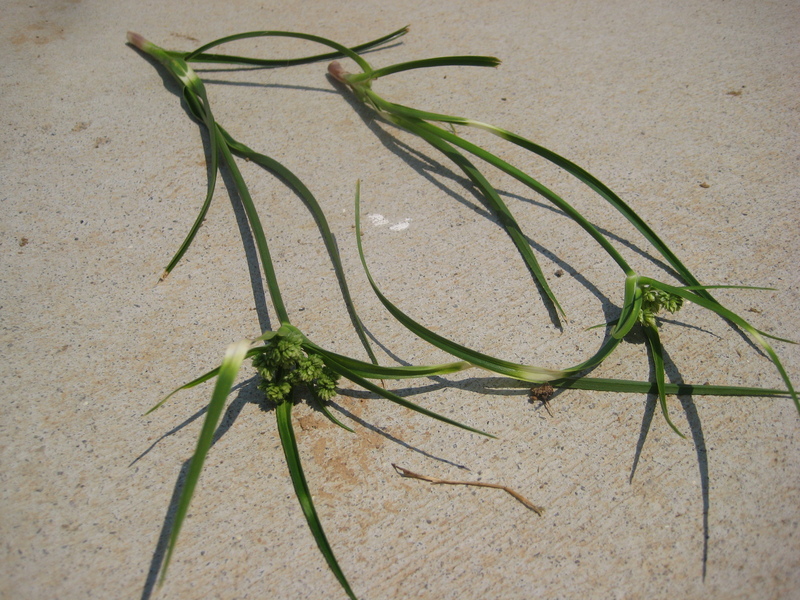 A Dallisgrass plant can grow up to 2 feet in diameter and have seed stalks up to 2-3 feet tall. 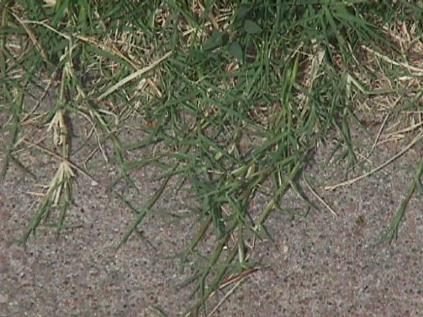 Nutsedge is a waxy-leaved grass-like plant that grows twice as fast as your desirable turf. If allowed to grow tall enough a seed stalk will appear. 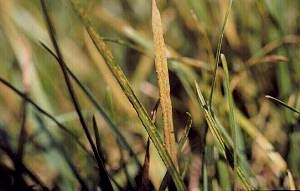 Yellow and Purple Sedge are two common weeds that infest lawns in the summer months. Yellow and Purple Sedge are widespread perennial weeds that flourish in moist, fertile soil from May through September. 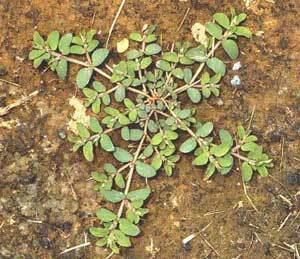 These weeds reproduce from seeds and also have food-storing tubers from which new plants can sprout. 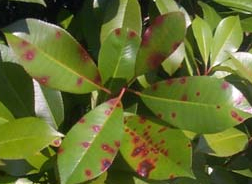 A selective herbicide can be applied to control and prevent new growth. 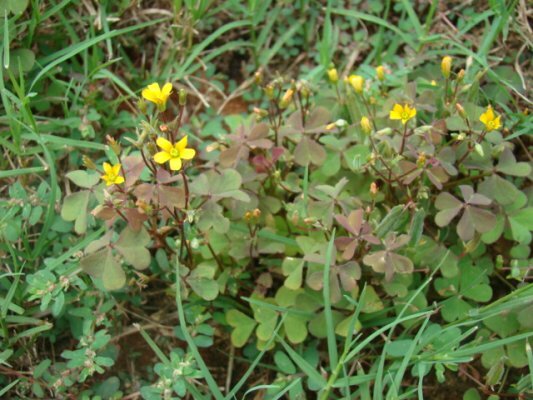 Usually multiple applications are necessary through the active growing season to minimize and control the presence of these weeds.